Breathing, Mindset/Focus and Gradual Cold Adaptation. The breathing technique brings you into the present moment, calms your mind and optimizes your body’s chemistry. The cold reconnects you to your natural environment and awakens your true human potential for optimal health. master your own body and mind. The second session will be longer. This gives you the time to settle in to your own rhythm and experiment, while being carried by the group energy and allowing us to dive deeper into our bodies and physiology and into the full experience of the power breathing. You will learn about the benefits of adapting to and exposing your body to cold and how to adapt to the cold in a safe and gradual manner. 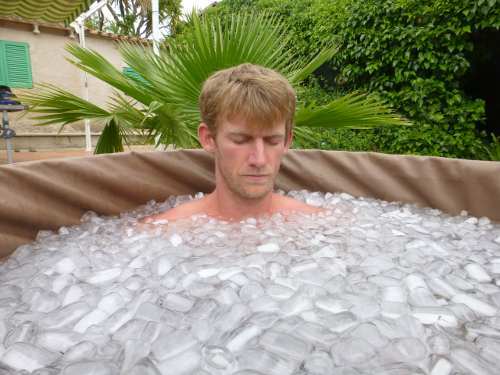 You will experience the intensity of an ice bath (around 5 degrees). Once you are nicely warmed up in the sauna you can take a dip in the pool to see the contrast of temperature between the ice bath and the pool and how your perception of “cold” may have changed. *Depending on the venue, this part of the workshop may not be available. Please bring something light to share with the group for a picnic lunch.